In a journey that has spanned 17 years and thousands of miles, the mothers of Olympic ice dancers Meryl Davis and Charlie White have formed a tight bond. Jacqui and Cheryl Davis have been traveling to watch Charlie, 26, and Meryl, 27, in competitions across the world since their kids were eight years old. Affectionately known as “The Moms,’’ they have watched the pair become two-time world champions and gold medal favorites in Sochi. 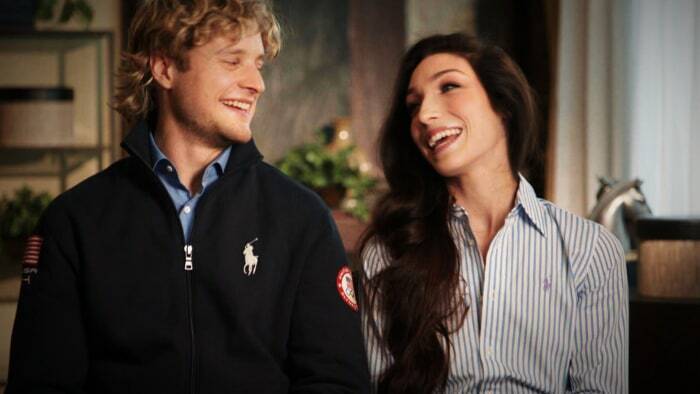 Ice dancing duo Charlie White and Meryl Davis said that unlike most Olympic moms, theirs have gone to "every competition." Meryl was first paired with Charlie in the late 1990s when the two were just getting into ice dancing after having been individual figure skaters. They lived only 10 minutes apart in West Bloomfield, Mich.
Then and now: Charlie and Meryl have skated together since they were 8 years old. They became a formidable team almost immediately, dominating junior competitions. 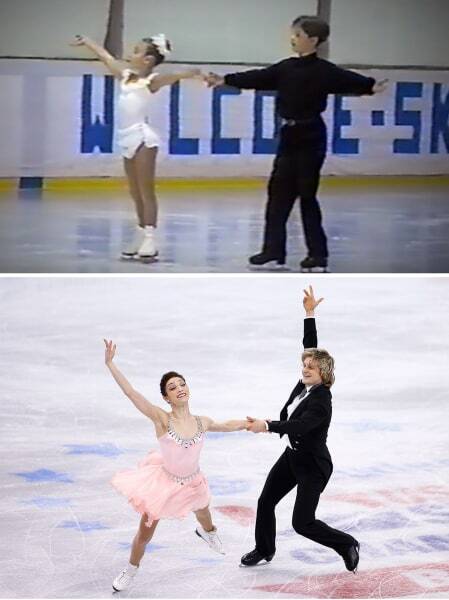 “She was such a great skater that within two days of training together, we were on the same level,’’ Charlie White said. Their moms also helped with some fashion choices along the way. “And then she stoned it so much it was like Liberace,’’ Cheryl Davis said. From those humble beginnings, the two moms watched the pair grow into two-time world champions as well as silver medalists at the 2010 Olympics in Vancouver. From local rinks in Michigan to the big stage in Sochi, Jacqui and Cheryl have been there every step of the way. “I can't even imagine our lives, let alone our skating careers, without the support of our moms,’’ Meryl Davis said. “Seeing our moms in the audience makes us feel like we have a little bit of home with us,’’ Charlie White said.